Happy Wednesday friends! We got back from the beach on Monday evening and I spent the day yesterday running errands, cleaning up around the house, and washing all the clothes from our trip. We had the BEST time and I'm already thinking of our next beach trip... Four days was just not enough time. Stay tuned for a recap of our trip sometime next week. 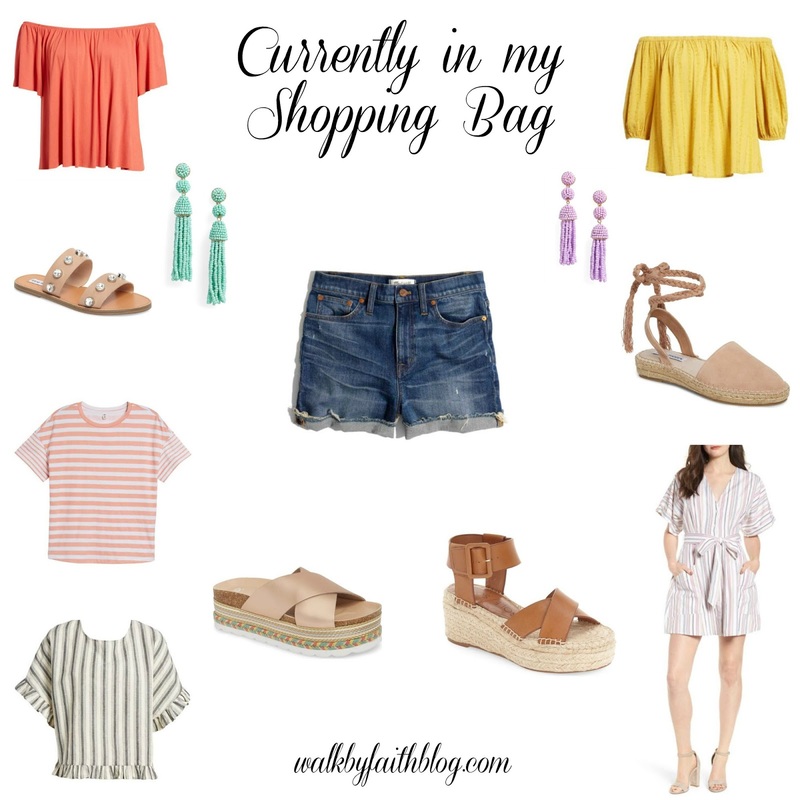 Today I thought it'd be fun to share a glimpse at what I currently have in my Nordstrom shopping bag. I'm constantly browsing through all of my favorite stores online, and ALWAYS have all of my favorite picks added to my shopping bag. I'll sometimes keep items in my cart for months without ever buying anything, and if I do decide to buy something I'll narrow it down to one or two items and add the rest to my "wishlist." Keeping my shopping bag full of my favorites is an easy way for me to check daily to see if anything I've been eyeing has gone on sale. You can shop any of these pieces by scrolling through the pictures below and clicking on the item you want to see. Surely I'm not the only one who ALWAYS has her shopping bag full. Do any of you all do this?